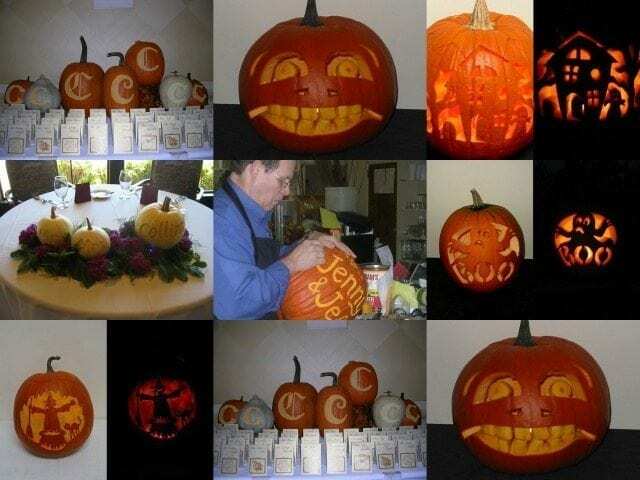 An employee’s talent for pumpkin carving has helped drive additional in-store traffic during October at Bo-Ty Florist. In Winston-Salem, North Carolina, one shop has found an unexpected pocket of Halloween sales: pumpkin carving. For the last few years, customers have been bringing in their pumpkins for Robert Huff of Bo-Ty Florist to transform into works of seasonal art. His stylized designs run from the spooky-traditional (pumpkin faces, ghosts and witches) to the highly personal (initials and names). Pricing starts at $35 to $50 but can go higher, depending on the design. A handful of customers take the shop up on the service each year — and no one is more surprised than Huff. As for Huff’s initial hesitancy about the price, the success of the carving service may underscore sales expert and Floral Management magazine contributor Tim Huckabee’s longtime advice to florists: Offer services people want and don’t sell from your own pocket. After all, consumers do spend serious cash on Halloween. According to the National Retail Federation, more than 171 million Americans plan to celebrate Halloween this year, spending an average $82.93, up from last year’s $74.34. Total spending is expected to reach $8.4 billion, an all-time high in the history of NRF’s annual survey conducted by Prosper Insights. Why shouldn’t some of that money go toward Huff’s beautiful pumpkins — and other Halloween goods and services offered by florists?